The Electronic Cigarette has been growing rapidly in popularity with smokers around the world and Intellicig has become the brand of choice for many. 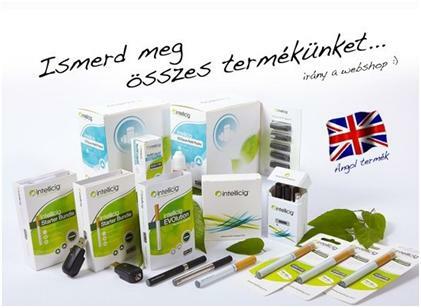 Smokers across Europe have helped to establish Intellicig as the number one choice for electronic cigarettes and a key element of their success is that Intellicig manufacture in the UK. Their laboratories, based in the renowned UMIC Bioscience Facility at Manchester University, produce the specially-formulated ‘e-liquid’ that is used in electronic cigarettes and Intellicig has set extremely high standards of quality and purity. Intellicig uses Ph Eur grade Nicotine in their ECOpure E-Liquid preparations, the same quality as in Nicotine Replacement Therapy products such as patches, gums, and inhalers which are used as quit-smoking aids. This guarantee of purity and quality control – Intellicig batch test and certify every drop of ECOpure – gives the reassurance that end users expect and deserve. Intellicig has already formed numerous strategic partnerships with key suppliers and their latest venture has seen Intellicig products take centre stage in Hungary. A dedicated website at www.intellicig.hu is complemented by a strong presence on social networks such as Facebook. The UK connection is important as it is seen as a stamp of quality, which is reflected on partner websites and packaging. As more and more countries introduce smoking bans and campaigns, Intellicig continues its pioneering work in the field of Smoking Harm Reduction by offering solutions and alternatives to traditional cigarettes. Some smokers are able to quit smoking using NRT or other methods, but many try to give up and then relapse into their old habit. Intellicig offers a genuine choice to those wishing to replace cigarettes with a less harmful option and this is being seen by smokers as a realistic, affordable, and socially-acceptable solution. Electronic cigarettes have advanced from being perceived as a novelty just a few years ago to becoming a fully-fledged, mainstream market contender with Intellicig flying the flag and leading the way. This press release was distributed by ResponseSource Press Release Wire on behalf of CN Creative in the following categories: Health, for more information visit https://pressreleasewire.responsesource.com/about.